Sonic Boom has the distinct honour of becoming the worst selling major Sonic title in history, after figures revealed by SEGA in the company’s latest holdings report. Both versions of the game, Rise of Lyric (Wii U) and Shattered Crystal (3DS) have managed to shift 490,000 copies in total – however, there’s no confirmation this is actual copies sold or simply shipped. This news comes following the announcement of the loss of 300 jobs at SEGA, closure of their San Francisco office, and shifting their focus to digital titles. Stephen Frost, producer of Sonic Boom, has been confirmed as part of these losses. To compare, Sonic Lost World, the previous Wii U/3DS exclusive Sonic title under the Nintendo deal, managed to sell 640,000 copies by December 2013. It went on to have 710,000 copies sold by March 2014. It’s not all bleak though – another big title from SEGA last year, Alien: Isolation from developer Creative Assembly, managed to shift 1,760,000 copies. 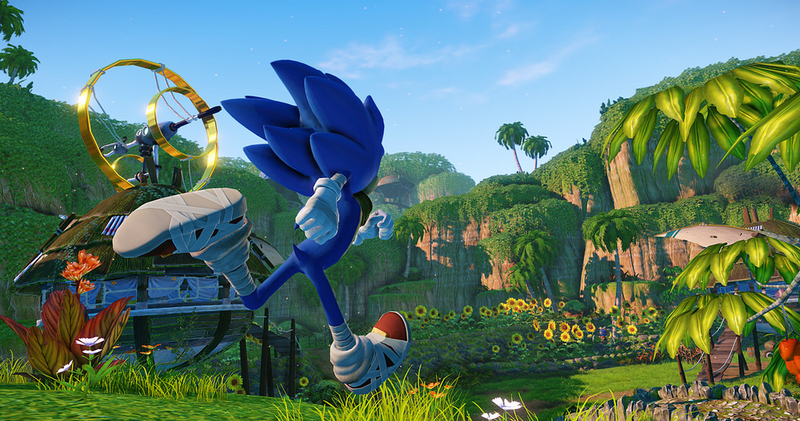 SEGA have also said the Sonic franchise will be “reinforced” to generate stable profits for the company. Sonic Boom was announced in February last year, envisioning itself as a spin off from the mainline Sonic franchise. Developed by Big Red Button on Wii U and Sanzaru Games on 3DS, it was also launched alongside a TV show which airs on Cartoon Network. SEGA called it “one of the biggest license initiatives SEGA has undertaken in recent years”. As E3 continues through the week, more and more gameplay is coming forward from our two upcoming Sonic titles this year. Most notably, Gamespot decided to showcase Rise of Lyric (Wii U) in their livestream for an extended period and now are uploading the footage to their YouTube in HD glory with full audio. How nice of them! A total of three videos have been released so far for your viewing pleasure. Most of these videos contains areas we’ve seen the team explore previously – however what we do get to see (and hear) in these videos are two of the cutscenes. It gives us a nice look at how the dynamic of the team is, and how they’re being characterised. There aren’t that many story hints but it’s always nice to see Sonic and Knuckles have their little banter. Amy Rose has gone through one of the biggest transformations in terms of character, having a confident approach to situations and is seemingly no longer fawning for Sonic’s love and attention. You go girl! You can also sample some of the voice acting in the game. The whole cast is sounding a little better to me with seemingly better direction for all four voice actors. This goes especially for Amy who has dropped the infamous “Minnie Mouse” tone we heard in Sonic Lost World. That’s enough of what I think though – how about you? Let us know in the comments. Stay with TSS for the remainder of E3 so you don’t miss any news regarding our spiky blue hero. Also – did you see the new TV trailer yet? Because that’s looking pretty fantastic too amid all this gaming news.